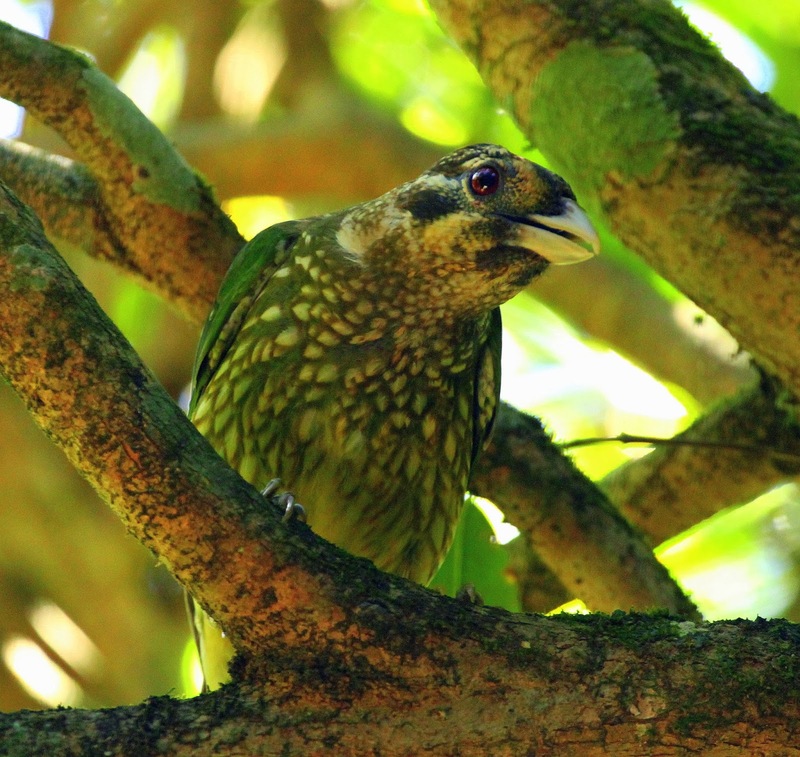 This report deals with a half a dozen birding trips made to Far North Queensland. A couple of my earlier birding trips were made with good friend Greg Oakley. The following report is essentially a summation of the main areas I’ve visited. It’s divided into four main areas: 1. Cairns regions; 2. North of Cairns (where I’ve based myself at Kingfisher Park Birdwatching Lodge; 3. the Atherthon Tableland. I’ve also included a selected annotated bird list at the end of this report for future reference, including their local status and any subspecies differentiation. Don’t tell anyone but I treated the first few trips to Cairns like a Twitchathon i.e. a bird-race to see as many species in a given period of time. The meant that I birded continually from dawn to dusk and beyond, something that was incredibly rewarding but also extremely tiring. Overall I’ve travelled over most of the region i.e. the east, west, central and northern Cape York. On my first trip to the region, I spent 12 days birding, travelled ~3000 km and saw in excess of 260 species of bird. I hope you enjoy the read. While in Cairns, a fantastic thing to do is take a boat trip out to Michaelmas Cay (located on the Great Barrier Reef in the Coral Sea) to do some seabirdwatching and snorkling. I’ve written this up in a separate report for Michaelmas Cay, to find out more simply follow this link. Tim Dolby at Mt Lewis. Usually the first point of call – and sometimes the last, before flying out of Cairn – is a visit to the spectacular mudflats along the Cairn’s Esplanade. These can be teeming with waders, and you see usually see Eastern Curlew, Whimbrel, Sharp-tailed, Curlew and Marsh Sandpiper, Red-necked Stint, Pacific Golden Plover, Lesser and Greater Sand Plover, Bar-tailed and Black-tailed Godwit, occasionally Grey Plover, Red and Great Knot, Grey-tailed Tattler, Pied Oystercatcher and Striated Heron. Other birds seen here include Eastern Reef Egret,Gull-billed, Little, Crested and the odd Caspian Tern. In terms of rarities, 2009 was particularly good year. For instance that year on the Esplanade I saw Laughing Gull, Asian Dowitcher and Broad-billed Sandpiper, as well as a pair of Beach Stone-curlew. The Esplanade is probably the easiest place in Australia to find Varied Honeyeater, Indeed you would be very hard-pressed to find an Australian birdwatcher who didn’t first see them on Cairn’s Esplanade. When flowing, they particularly like the Frangipani along the boardwalk. Other birds I’ve seen here include Brown, Yellow and Lewin’s Honeyeater, Spangled Drongo, Helmeted Friarbird, Pied Imperial-Pigeon, Peaceful Dove, Australasian Figbird, Olive-backed Sunbird, and Nutmeg Mannikin, and it’s not uncommon to see Doubled-eyed Fig-Parrot and Rainbow Lorikeet flying up and down through the trees along the Esplanade. At night, Spectacled Flying Fox are quite common around Cairns, and listen for Bush Stone-curlew. 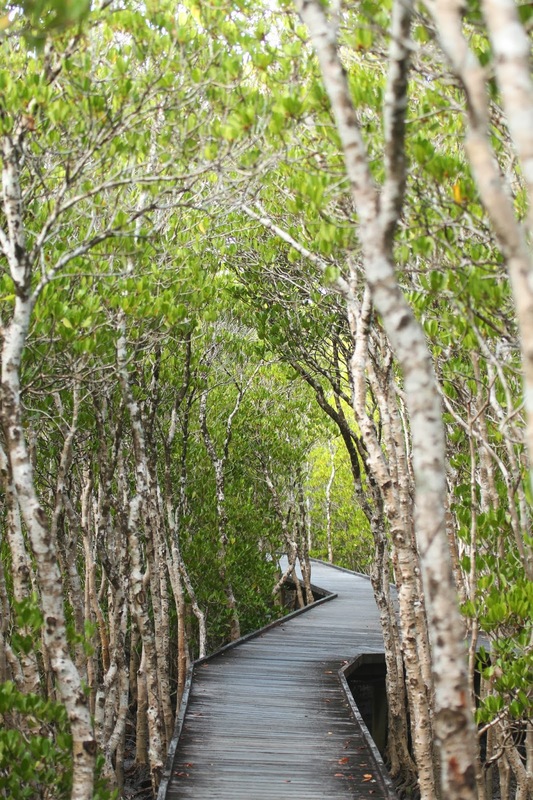 Any visit to the Esplanade usually involves birding around the mangroves at its north end. It’s worth trying to whistle in a Mangrove Robin by imitating their mournful whurr-whurr call, while Collared Kingfisher often hunt on the mudflat near the mangroves, and Osprey occasionally flew down the coastline. Visiting the Gardens in November 2013, a Pale-vented Bush-Hen walked under boardwalk and into the scrub. There was also a small party of Radjah Shelduck feeding on the Freshwater Lake. An earlier visits to Cairns Radjah Shelduck would have been considered a worthy twitch, however for some reason they are now quite common. Talking to local bird expert Del Richard about this, he explained that a few years back someone had released captive birds around Cairns. Although these birds had had their wings clipped, what we are now seeing – in good numbers – is their off-spring. Also when birding at the Freshwater Lake keep your eyes open for Little Kingfisher. Although uncommon here, I’ve flushed them several time bird from the trees that overhang the lake near Greenslope Rd, and there is also a chance of flushing Black Bittern. 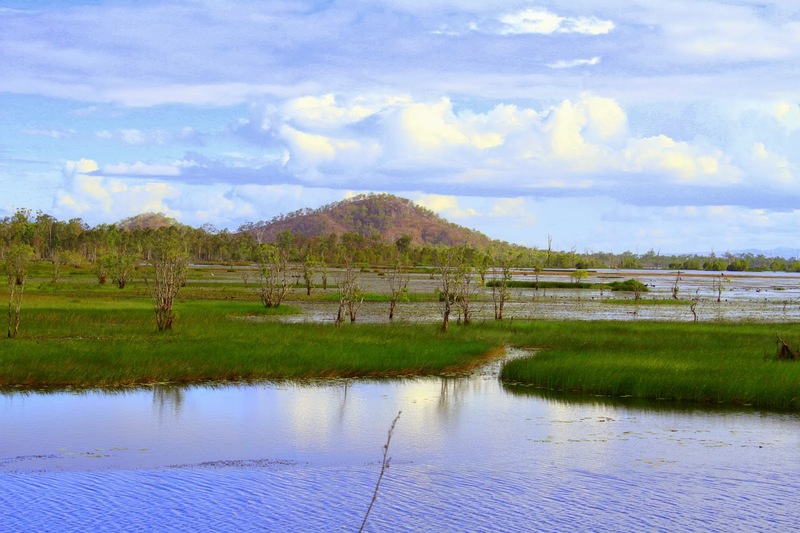 There’s a couple of other good birding spots I usually visit while visiting Cairns – Half Moon Bay Wetland at Yorkey’s Knob and the Jack Barnes Mangrove Boardwalk. The small Half Moon Bay Wetland can be a bit hit and miss but, for a wetland so close to Cairns, it occasionally holds some excellent birds. For instance I’ve seen Wandering and Plumed Whistling-Duck, Magpie Goose, Green Pygmy-Goose and Radjah Shelduck, Australasian Darter (they nest in the lagoon’s island) and Nankeen Night-Heron, and there is a chance of Black Bittern and White-browed Crake (listen for their frog-like squeaky-toy call in the tall grassy areas). Around the wetland I’ve seen also Osprey, Bush Stone-curlew, Crimson Finch and Chestnut-breasted Mannikin and, if I have time, I usually walk along the path tht leads between the golf course and the mangroves at the end of Wattle Street. This a particularly good spot to look for mangrove specialists such Mangrove Robin, Collared Kingfisher and Shining Flycatcher. 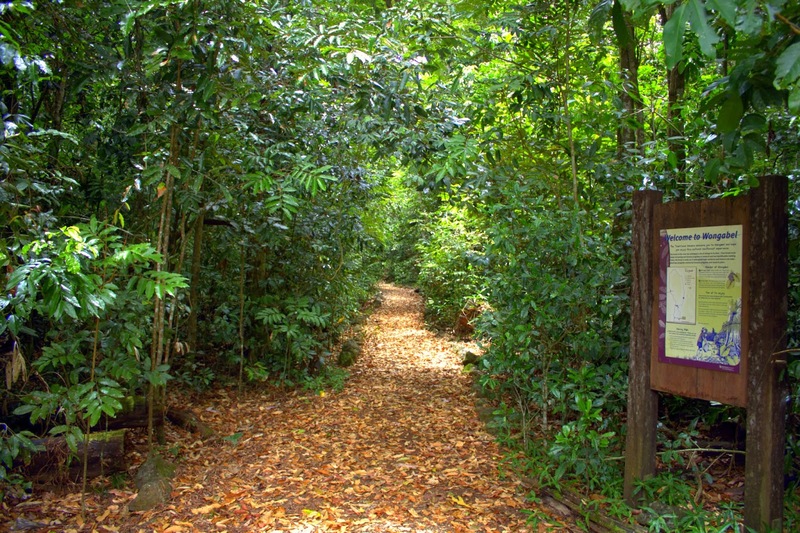 As you drive out of (or in to) the airport, stop at the Jack Barnes Mangrove Boardwalk. 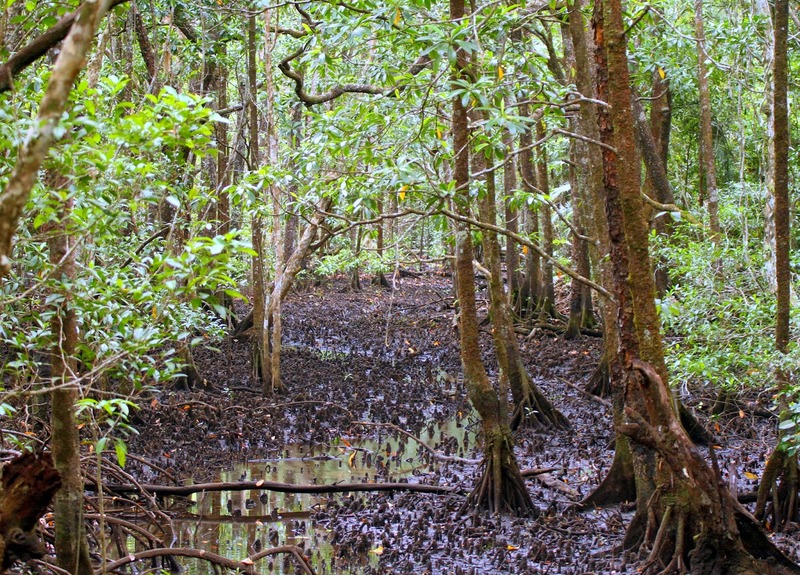 It passes through a range of mangrove forest growth stages (low, tall and open). Again, it’s a good spot to see mangrove specialists such as Shining Flycatcher, Mangrove Robin, Large-billed Gerygone, Little and Collared Kingfisher, Striated Heron, Black Butcherbird and Varied Honeyeater. A couple of times I’ve seen Lovely Fairy-wren in the low dense mangroves, while the last time I was there, a Saltwater Crocodile was sunning itself on the banks of Middle Creek. It’s also intriguing to listen to the cacophony of slurps and sharp popping sounds of the Pistol Shrimp (Alpheus sp. ), made when they snap their enlarged claws together to warn off any intruders. Crimson Finch can be a surprisingly tricky birds to find around Cairns, particularly if you’re not birdwatching around the regions sugar cane farms. I’ve found a good spot to look for them is in the grassy verges alongside along Thomson Rd, near Edmonton, south of Cairns. It’s worth noting that this the eastern black-bellied ssp phaeton. To see them, I usually just drive up and down until I see any sign of finches activity. Chestnut-breasted Mannikin also occur along this section of road, and they both also in the surrounding farmland roads. 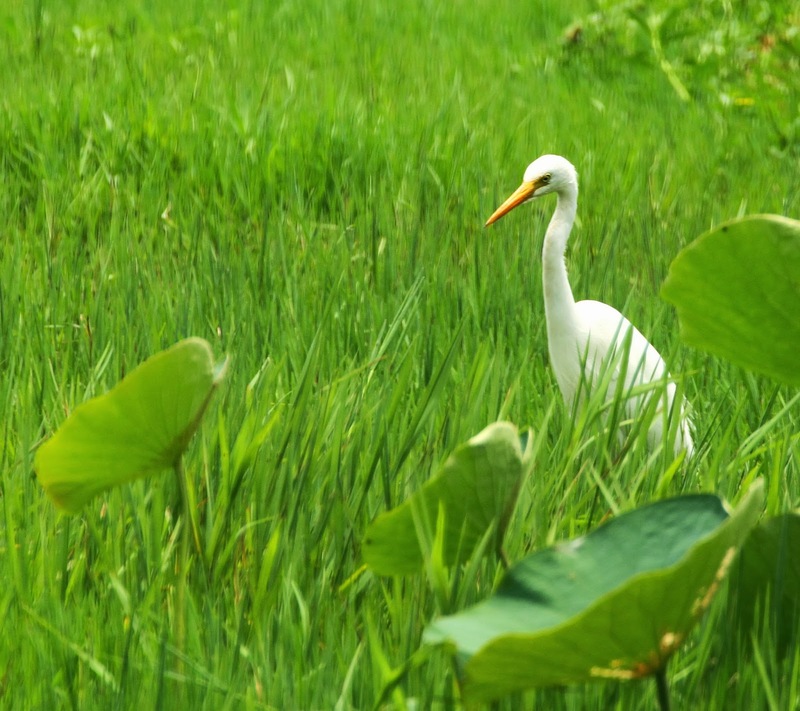 The Cairns Crocodile Farm (located at the end of Redbank Rd) is an excellent spot to find White-browed Crake and Crimson Finch, and, in the sedge and reeds there’s always of potential for seeing uncommon waterbird such as for Australian Little Bittern and Black Bittern. However, unless I’m mistaken, it’s no longer open to the general public. Apparently, though, they do have tourist-type tours of the farm. If in the area it’s still worth a visit, particularly to have a look at the mangroves near the farm (-17.00954,145.797119) – good for mangrove specialists such as Shining Flycatcher, Large-billed Gerygone and Mangrove Robin – and, from memory, you may also see into the farm, providing you with a slight chance of seeing the farms birds and the odd Saltwater Crocodile. 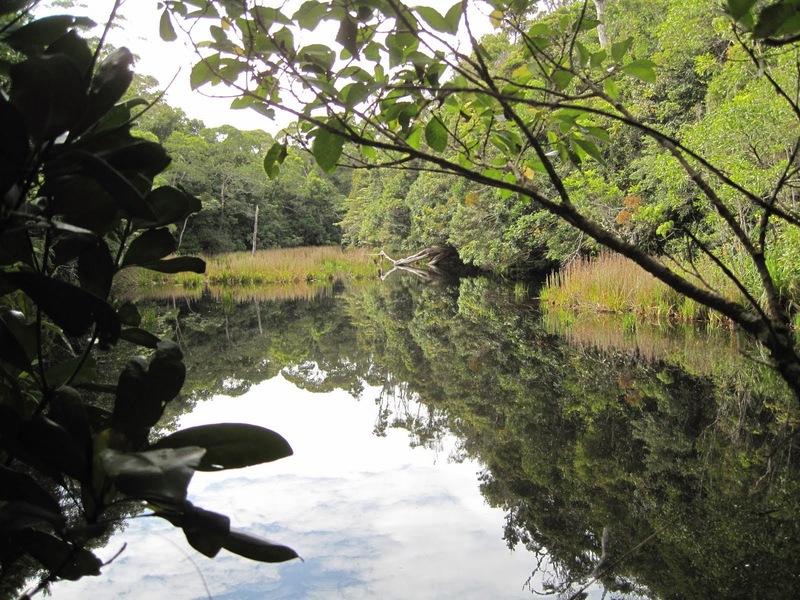 We cruised up the Mossman for several km or so, passing through a number of different habitat types – beach and coastal estuaries, mangroves, areas dominated by reeds, and finally through coastal rainforest thickets. We pushed off and Osprey circled our boat. Several Common Sandpiper teetered on the banks of the river, and a small flock of Grey-tailed Tattler sat quietly on a log, while Large-billed Gerygone and Varied Triller called from the mangroves. 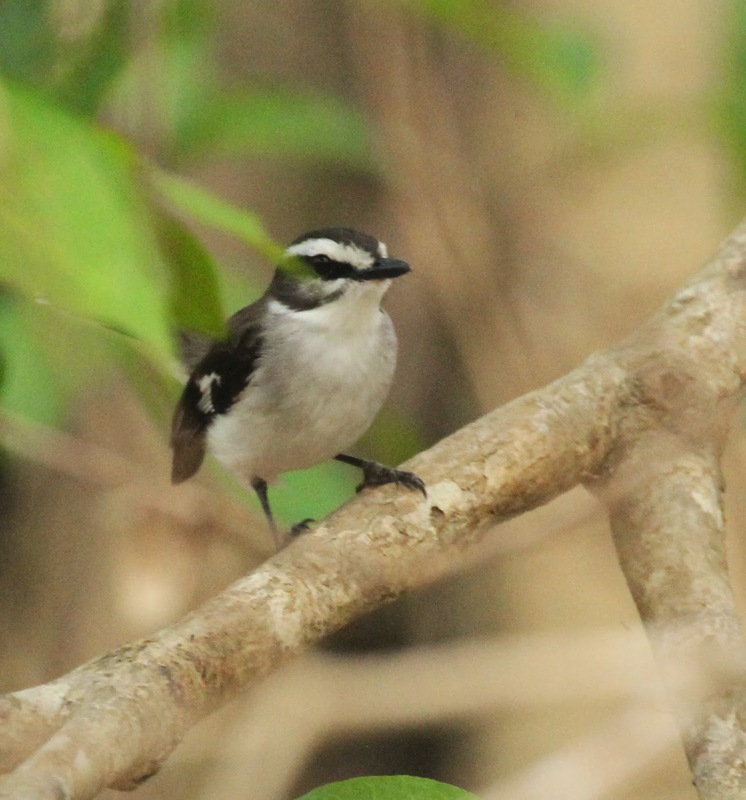 We got onto a few Mangrove Robin and Shining Flycatcher, with both responding well to pishing, a specific characteristic of mangrove species. Along the Mossman River we saw six species of kingfisher! Forest, Sacred, Azure and Collared Kingfisher, Laughing Kookaburra, and we finally had superb views of a Little Kingfisher, quietly sitting one a branch in small inlet about half way up the river. What a spectacular gem of a bird. I reckon you’d be hard pressed to see 6 species of kingfisher anywhere else in Australia. 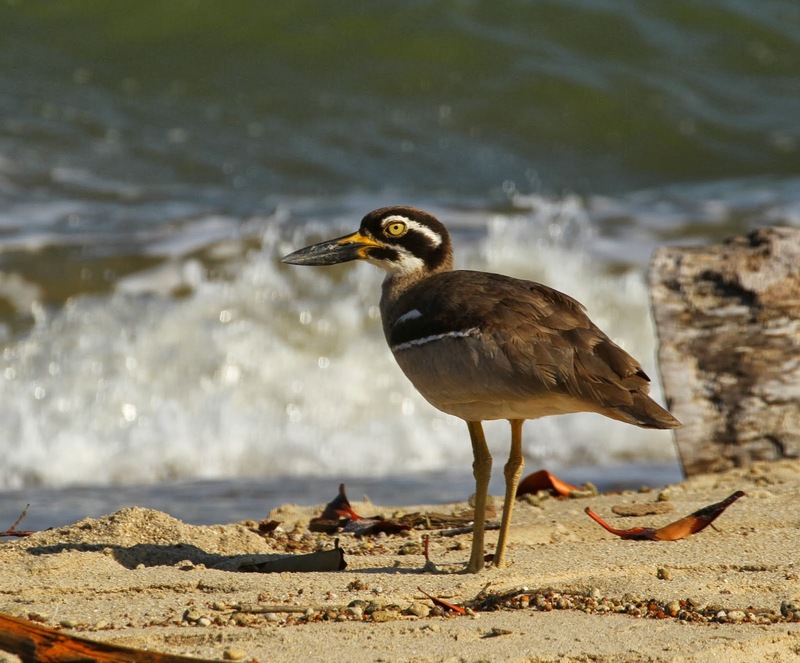 When visiting the Mossman River, always check the river’s mouth, often frequented by a pair of Beach Stone-curlew, as well as waders such as Greater Sand Plover and Bar-tailed Godwit. The last time I was there, a four meter Saltwater (Estuarine) Crocodile had settled the first section of the estuary. 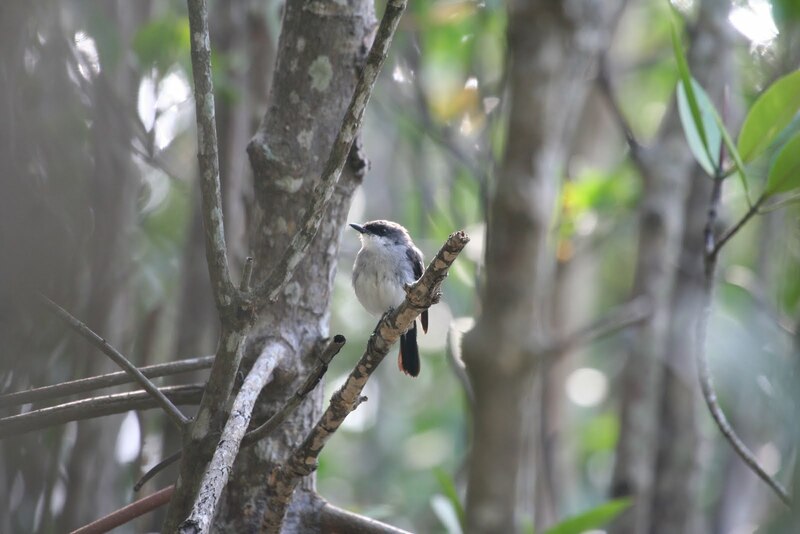 Another thing to do when visiting the Mossman River is to search the powerlines in Newell Beach for Barn and Red-rumped Swallow, particularly along Somerset Drive. Both species are essentially a summer vagrant to Australia, but they have been visiting Newell Beach for a number of years. Although they haven’t been seen there since 2009 (roosting in an old barn), Barn Swallow has been recorded at the France Road Turf Farm in Edmonton in 2012 and the marina in Port Douglas in 2013, so there’s always a chance some may return soon. 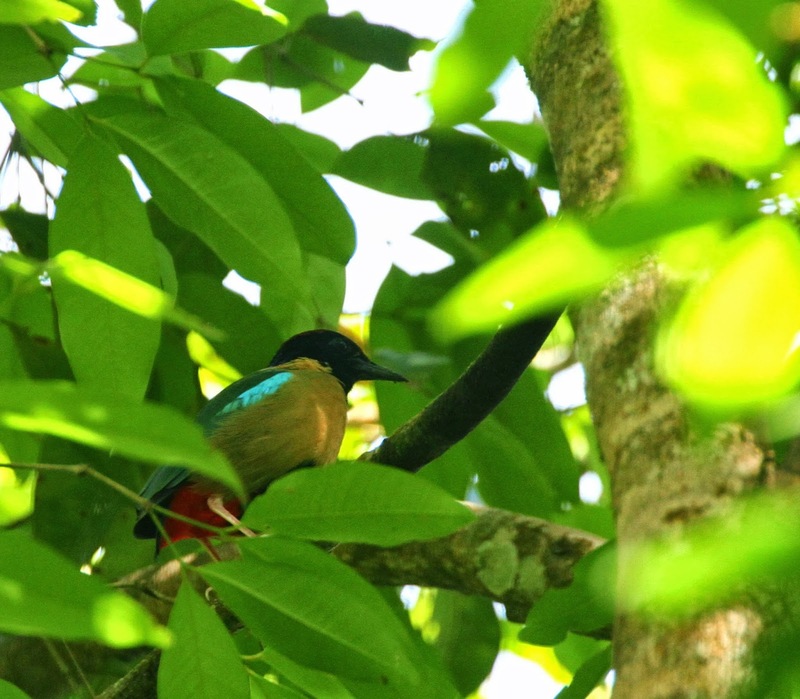 Most birders head to the township of Daintree to do a Daintree River Nature Cruise. With similar birds seen to those along the lower reaches of the Mossman River – such as Great-billed Heron and Little Kingfisher – the boat trip are considered one of the must-do-trips for any visiting birder. The first time I visited Daintree I wasn’t there to do the boat trip, I was there to find Lovely Fairy-wren and Buff-breasted Paradise-Kingfisher (summer). A particularly good spot for Lovely Fairy-wren occurs along a walking track that leads north behind the water tower in the center of town. A good spot to look is ~100 m up the track (-16.252031, 145.318232). 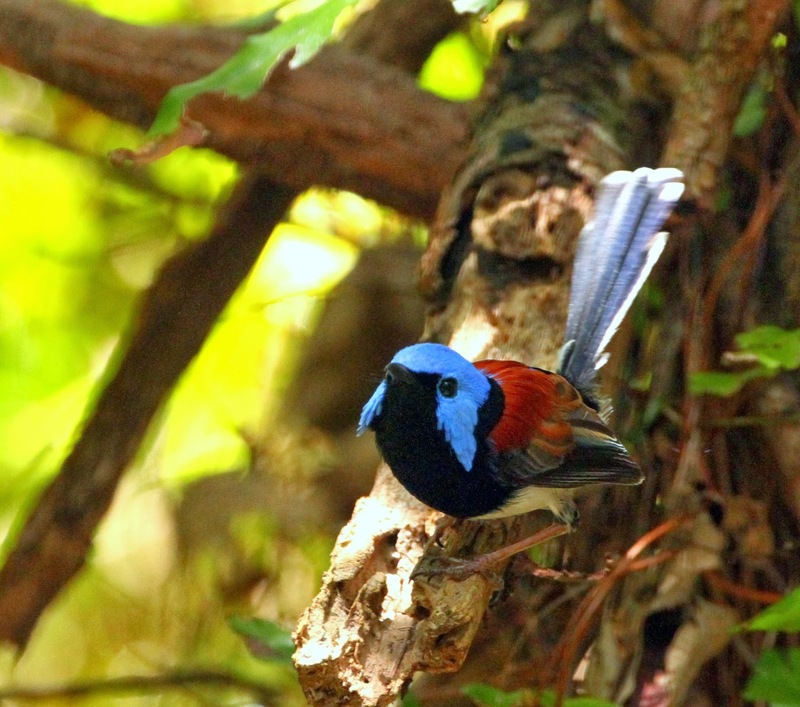 Unusual amongst Australia’s ‘blue wren’, the female has its own blue plumage, while the males are also spectacular. 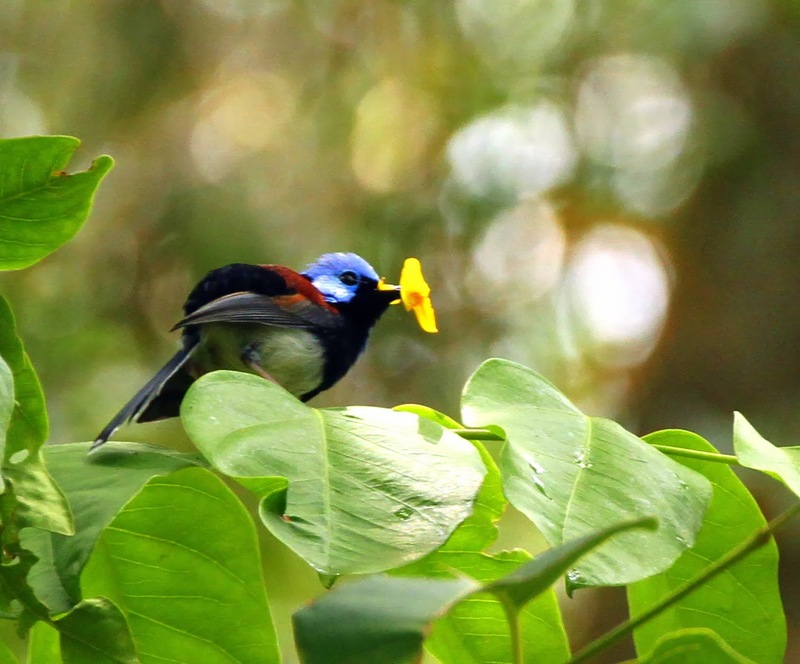 One particular male fairy-wren had a flower clenched in his beak. As the males become fully-colored during the breeding season, they present female Lovely Fairy-wren with a bright colored object during courtship – in this case it’s a orange flower. 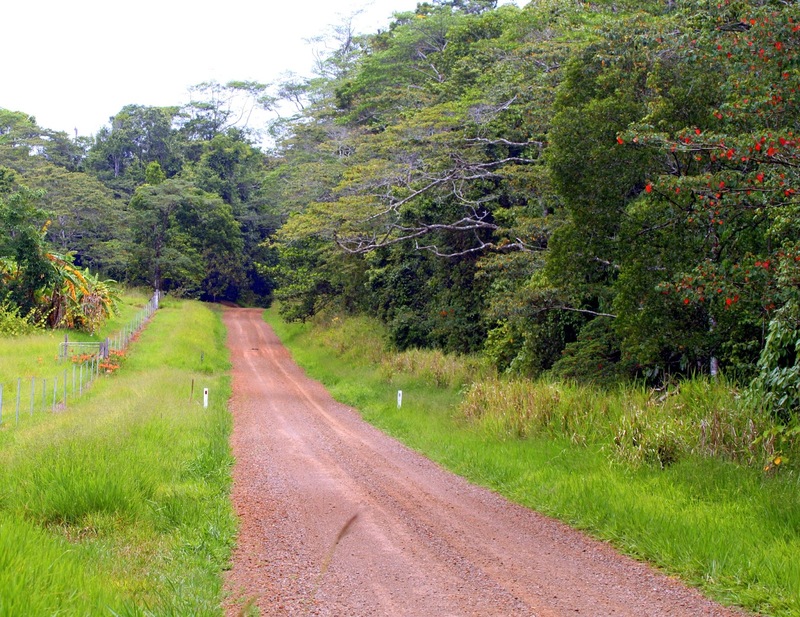 An excellent areas of roadside rainforest is found at the very end of Stewart Creek Rd, ~8 km from the Daintree township, where the road’s blocked by a gate (-16.311645,145.324336). From November to April this is an excellent spot for Buff-breasted Paradise-Kingfisher, as well as birds such as Pied and Spectacled Monarch, Shining Flycatcher, Black Butcherbird, Spangled Drongo and Blue-winged Kookaburra, and a Red-necked Crake called from the creekline near the road. There were several large flocks of Chestnut-breasted Mannikin in the tall grass along the road. It doesn’t get any better than this: the view from a table in the Kingfisher Park’s Cookshed. Wwhile eating breakfast one morning Pale-headed Robin, Macleay’s Honeyeater, Spectacled Monarch, Grey Whistler, Little Shrike-thrush, Emerald Dove all came to drink at the water tray, while Noisy Pitta and Buff-breasted Paradise-Kingfisher called in the surrounding rainforest. 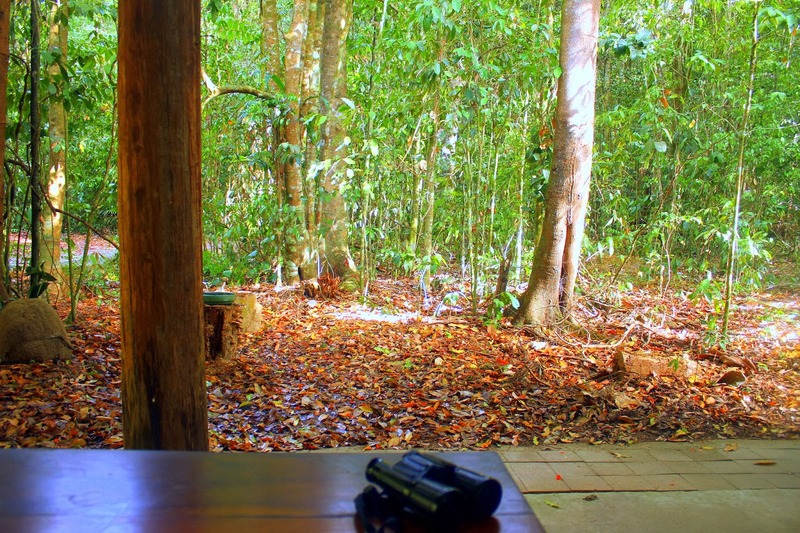 Virtually every time I’ve visited Cairns, my first destination (after Cairns itself) always seem to be Kingfisher Park Birdwatching Lodge in Julatten. This is no coincidence; Kingfisher Park and the surround areas, without exaggeration, has to be one of the top two or three birding locations in Australia! To get there, head north along the spectacular Captain Cook Hwy and then, after ~70 km, turn, west onto the Mossman-Mt Molloy Rd, and Kingfisher Park is another 19.4 km. The first time I visited Kingfisher Park I arrived just before dusk. In the darkness, the first bird I saw was Pale-yellow Robin. This was a bird I’d previously searched for long and hard in north-central NSW; it was the the uncommon southern capito ssp. Yet here at Kingfisher Park the northern nana ssp was a common campground bird. 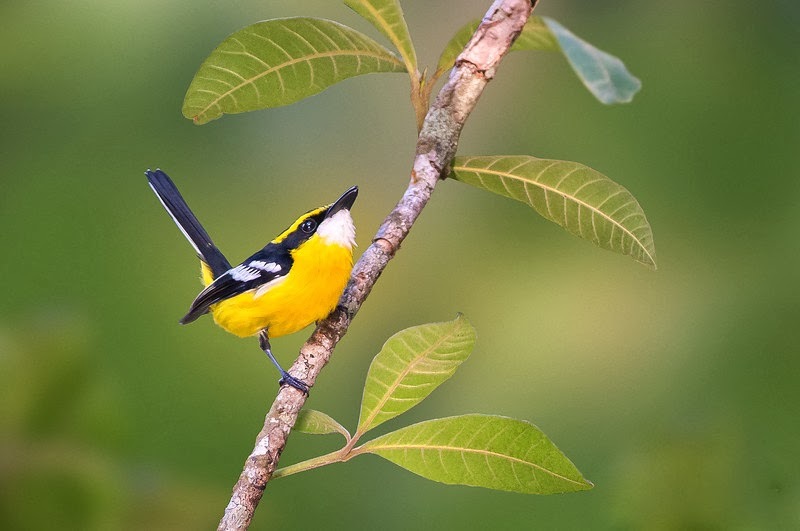 The following morning I awoke to a dawn chorus full of intriguing bird calls, which included the sounds of Grey Whistler, Little Shrike-thrush, Lemon-bellied Flycatcher, Gould’s Bronze-Cuckoo, Varied Triller, White-bellied Cuckoo-shrike, Spectacled Monarch and Fairy Gerygone. 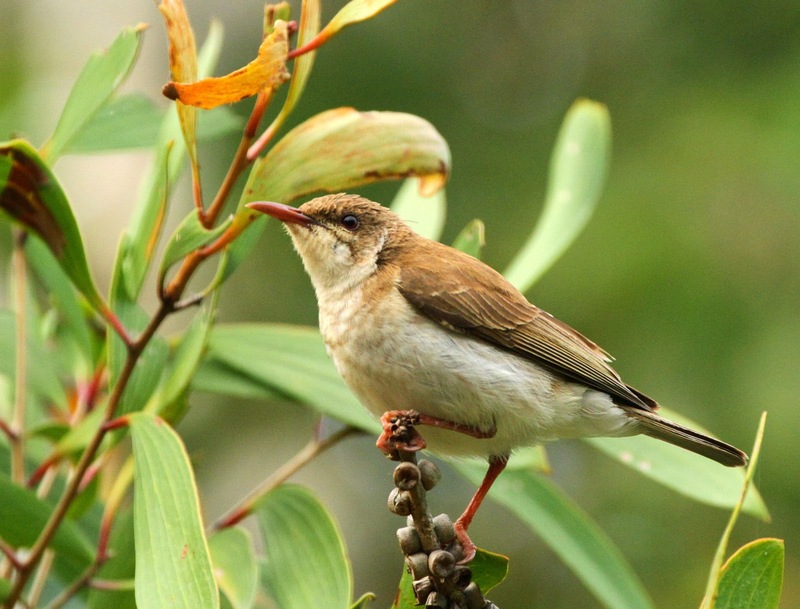 Honeyeaters are plentiful, in the Park, expect to see Macleay’s, Yellow-spotted, Graceful and Dusky Honeyeater, look for them feeding in a flowering Grevillea next to the campsite. On a morning walk through the property (depending on the time of year) you might see Double-eyed Fig-Parrot, Emerald Dove, Brown Cuckoo-Dove, Superb and Wompoo Fruit-Dove, Olive-backed Sunbird, Yellow-breasted Boatbill, Cicadabird, Barred Cuckoo-shrike, Pied, Spectacled and Black-faced Monarch, Channel-billed Cuckoo, Eastern Koel, Dollarbird and Metallic Starling. Not bad! Nearby Metallic Starling move in unison like the peloton in the Tour de France, while Pacific Baza roosted in the gum trees in the northern corner of the Park, and Australian Brush-turkey and Orange-footed Scrubfowl strolled the grounds. The Scrubfow must surely the silliest bird in Australia, with a head that’s far too small for its body. Noisy Pitta usually patrol their territory next to the main drive – I listened for their distinctive walk-to-work call. When I visited Kingfisher Park in November 2013 there were also as several pairs of Noisy Pitta along the creek line, down near the Platypus viewing area. One of the most sought-after species at Kingfisher Park is Red-necked Crake. 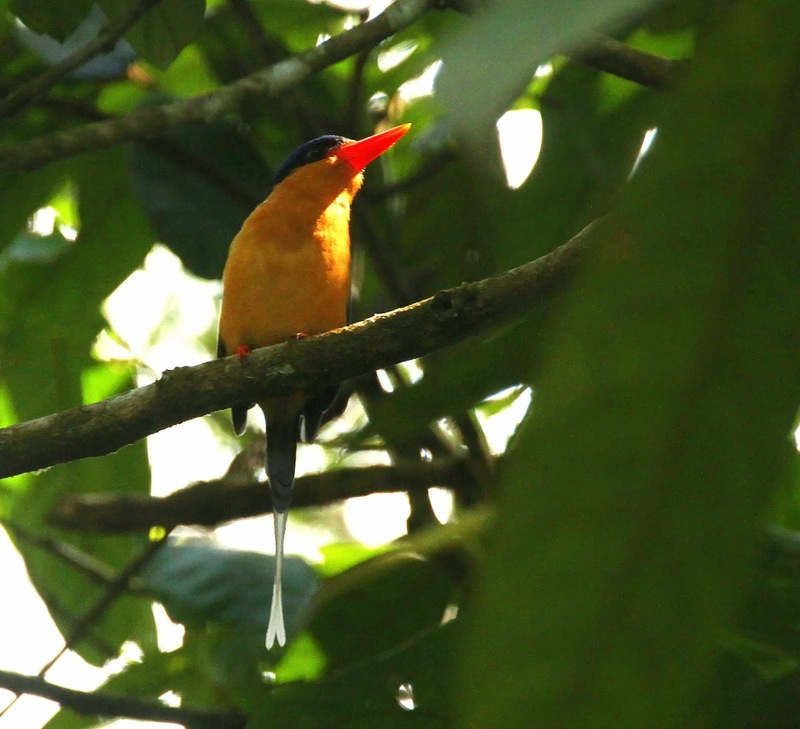 Notoriously difficult bird to see, they are very shy, and inhabit dense thickets of rainforest near water. Best seen at dusk, they are occasionally seen near a small dam on the south side of Kingfisher Park’s orchard (-16.594716,145.338429). The first time I saw this species I was with friend Greg Oakley. He and I strolled down to the dam with a couple of director chairs, and opened a couple of well-earned cold beers. We then waited to see if the crake would appear. Sure enough, just on dusk, hey presto, a Red-necked Crake walked out into the open next to the dam – if only birding was always like this! Another sought-after species is the Buff-breasted Paradise-Kingfisher – the namesake of the property. They’re usually present at Kingfisher Park between November and April, with several pairs nesting on the property. In terms of mammals I’ve been fortunate enough to see a few at Kingfisher Park such as Striped and Green Ringtail Possum, Fawn-footed Melomy, Long-nosed and Northern Brown Bandicoo, Platypus and Prehensile-tailed Tree Mouse. In terms of the Striped Possum, I’ve been particularly lucky with Striped Possum. Difficult to track down, I’ve had them feeding in a tree immediately next to my tent. Butterflies, such as Cairns Birdwing and Ulysses Butterfly, flitter about Kingfisher Park. It’s accessed via the Mossman-Mt Molloy Rd, a couple of km north of Kingfisher Park. I’ve travelled up this road half a dozen times, concentrating on a clearing ~10 km up the road, and then walking up the track that heads up to a small secluded dam. From the clearing, hike up the walking track (approximately 1 km one-way) that leads west to a small dam near the top of Mt Lewis. Along this track, there is a good chance of seeing Golden Bowerbird along this walking track, as well as Tooth-billed Bowerbird, Spotted Catbird, Victoria’s Riflebird, Chowchilla (listen for them rustling about in the undergrowth), Yellow-throated Scrubwren, Eastern Whipbird, Grey-headed and Pale-headed Robin, Grey and Golden Whistler, Bower’s Shrike-thrush, Bridled and Lewin’s Honeyeater, Spectacled Monarch, Rufous and Grey Fantail, Bassian Thrush, and Spangled Drongo, Mountain Thornbill, and Fernwren. In terms of mammals, Mt Lewis reputably has the highest concentration and biodiversity of mammals anywhere in Australia. 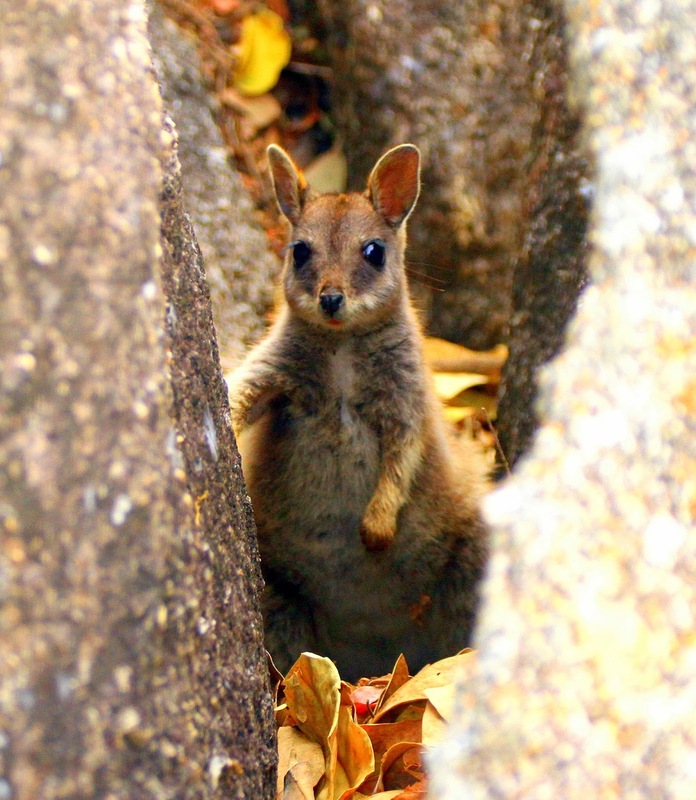 Most of the mammals are active only at night, so to see them you will need to spotlight along the road up Mount Lewis. It’s possible to see Herbert River, Daintree River and Lemuroid Ringtail Possum, Long-tailed Pygmy Possum and there is a chance of both Northern and Tiger Quoll. 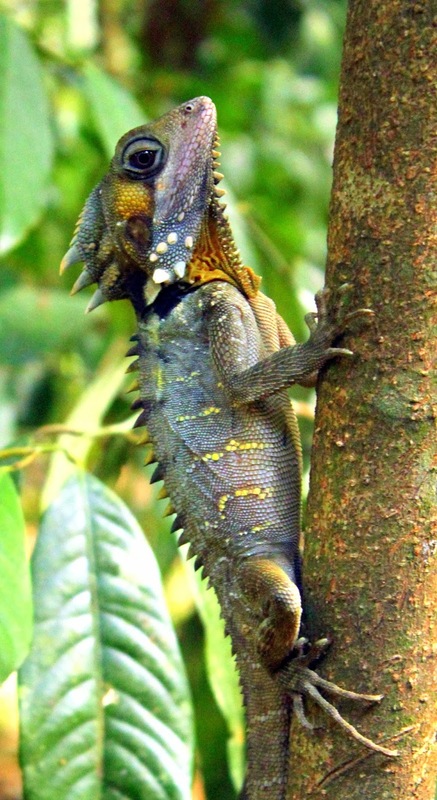 Boyd’s Forest Dragon are also reasonably common. At Abattoir Swamp (-16.636038,145.327093) I’ve seen White-browed Crake feeding on the waters edge, near where some eucalypts over hang the waters. The area around the hide is also excellent for honeyeaters! At last count, an amazing 21 species have been recorded at Abattoir Swamp, with the most likely to see being Brown-backed, Yellow, Dusky, Brown, Scarlet, Yellow-faced, Graceful, White-throated, Yellow-spotted, Lewin’s, Bridled and Blue-faced. Just north of Abattoir Swamp, where Sides Rd intersects with the Mossman-Mt Molloy Rd, there is a small path that leads east along a very small creekline (-16.618212,145.323677). When the grass is seeding – around August and September – this spot has become a reliable site to see the rare Blue-faced Parrot-Finch. In bush at the end of Wessels Rd (-16.64236,145.33178), accessed Mossman-Mt Molloy Rd, I’ve seen Northern Fantail and Large-tailed Nightjar (flushed during the day). Large-tailed Nightjar have a flight similar to a large black butterfly; to distinguish them from Spotted Nightjar look for their distinctive white-tail feathers. Scarlet Honeyeater is also common in the trees along this woodland road. There are some nice areas for birding around the small township of Mount Molloy. The trees and lawns around the township are a good place to spot Great Bowerbird, with a couple of active bowers (such as in the school grounds). In the towns street trees you can usually see Pale-headed Rosella, Red-winged Parrot, Blue-faced Honeyeater and Common Koel. Immediately south of the town, on the way to Mareeba, I’ve had excellent views of Square-tailed Kite, which patrolled the eastern forest edge of the Mt Molloy’s sports fields. Rifle Creek Reserve (1 km north Mount Molloy) has an excellent bird list – look here for Emerald Dove, Blue-winged Kookaburra, Noisy Pitta, Spotted Catbird, Yellow-breasted Boatbill, Black Butcherbird, Barred Cuckoo-shrike and Pale-yellow Robin, while Pale-vented Bush-hen feed along the creek line – look for the track that leads down to the creek. Raptors can be good here, with a chance of Square-tailed Kite, Pacific Baza and Little Eagle. At night, listen for Barking Owl, Southern Boobook, Large-tailed Nightjar and Australian Owlet-nightjar. 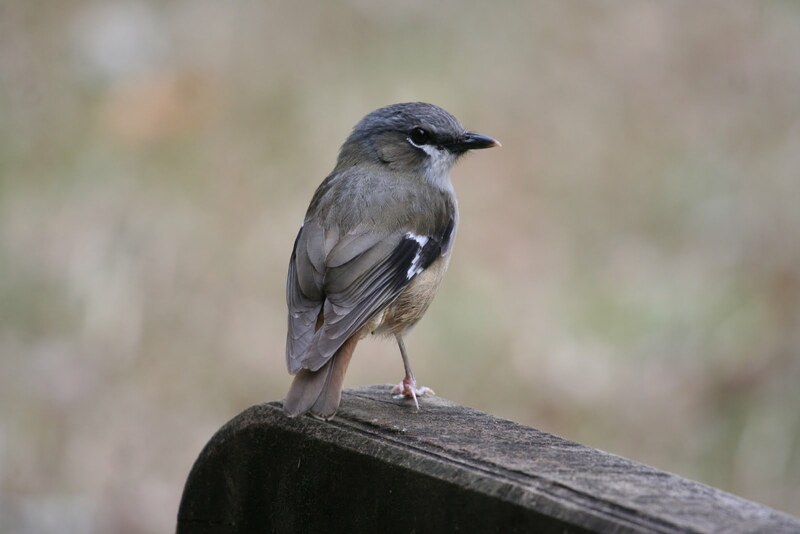 It’s also worth birding for woodland birds along Weatherly Rd, which heads east from Rifle Creek Reserve. Once you get to Mt Carbine the habitat has changes significantly from that around Kingfisher Park. Here the environment is much drier, and the birds are dry woodland species rather than forest or rainforest species. Around the town there is a chance of seeing Squatter Pigeon, Pale-headed Rosella, Red-winged Parrot, Great Bowerbird, Apostlebird, Grey-crowned Babbler, Pied Butcherbird and Black-throated Finch – look along, and around, the road that run along side the cricket pitch. Following up on a report of Australian Painted Snipe at the dam near Mt Carbine (-16.534478,145.122392), I didn’t manage to find the snipe, but I did see a great collection of waterbirds such as Latham’s Snipe, Plumed Whistling-Duck, Great-crested Grebe (uncommon in this part of Queensland), Australian Pratincole, Red-kneed Dotterel, Greenshank and Sharp-tailed Sandpiper. Be careful, though, we nearly rolled the 4WD down the wall of the dam. Another inch and we would have been in the drink! Driving along the Peninsula Development Rd – between Mount Carbine and Mount Molloy – look for Australian Bustard, particularly around Maryfarms and, the appropriately named, Bustard Downs (-16.583676, 145.189855). 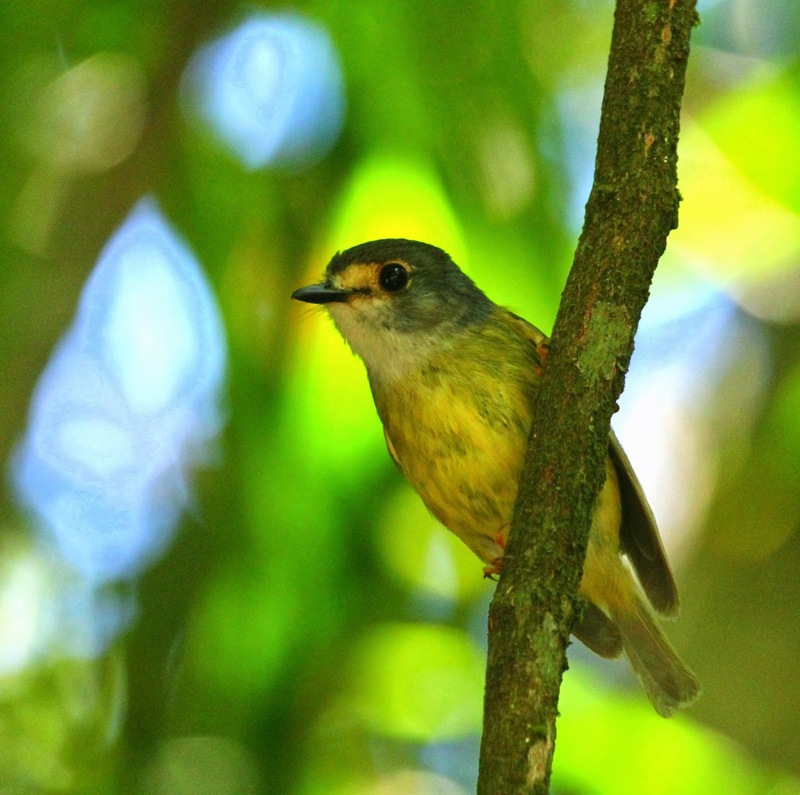 Big Mitchell Creek is probably the best place to search for White-browed Robin. I’ve seen them at several locations – on the first occasion, I simply pulled into the parking area immediately next to the bridge (-16.803963,145.365289), dropped straight down into the dry creek bed, pished several times and out popped the bird. On another occasion I parks several hundred metres north along the Mulligan Hwy, and joined the creek there (-16.802775,145.364849). Again I found White-browed Robin with relative ease. Lemon-bellied Flycatcher and Northern Fantail occur in the woodlands along the creek, and I’ve also seen bird such as Black-throated Finch, Pale-headed Rosella, Red-tailed Black-Cockatoo, Pied Butcherbird Striated Pardalote in the area. I’ve not seen them here, but there are also occasional records of Red Goshawk. Lake Mitchell is a tremendous wetland area, with the best access along causeway track (-16.799837,145.35901), just west of Big Mitchell Creek. Looking distinctively like the Camargue in southern France, there are often horses feeding in amongst water lilies. The wetland can be literally covered with thousands of waterbirds such as Comb-crested Jacana, Wandering and Plumed Whistling-Duck, Magpie Goose and Green Pygmy-Goose. It is also one of only sites in north Queensland where I’ve seen Cotton Pygmy-Goose. If you have the inclination, spend some time looking for Buff-breasted Button-quail. They have been recorded on several occasions just south of Lake Mitchell. 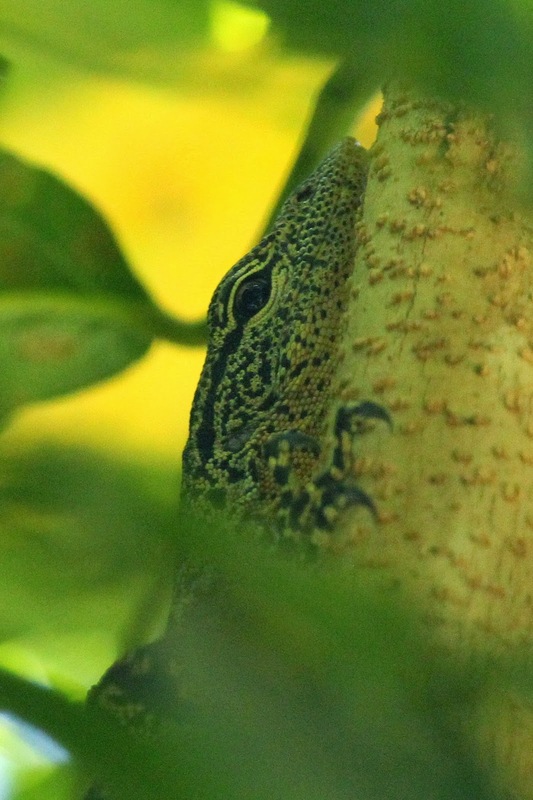 Extremely rare, they have never been photographed – so keep you camera handy! This spot is just east of a roadside pull-in on the Mulligan Hwy, ~18 km from Mount Molloy (-16.818837,145.372337). 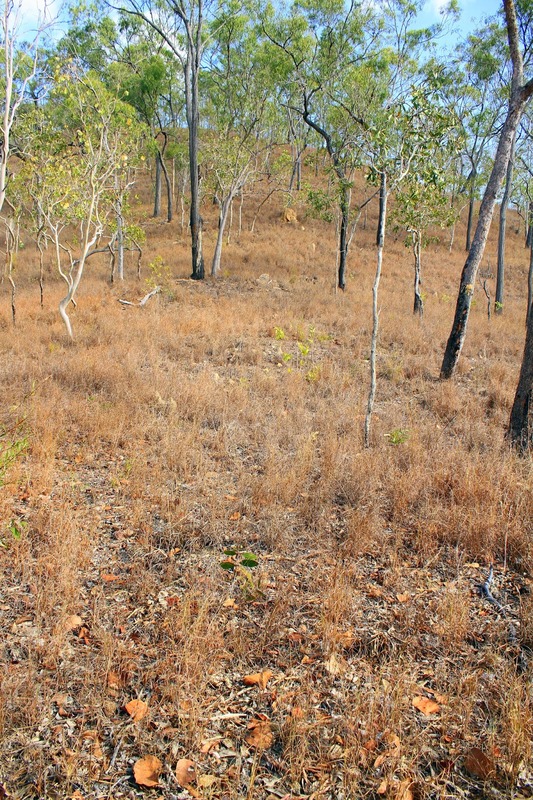 There are several bush tracks that lead in to the base of the hills. Lake Mitchell from the central causeway. 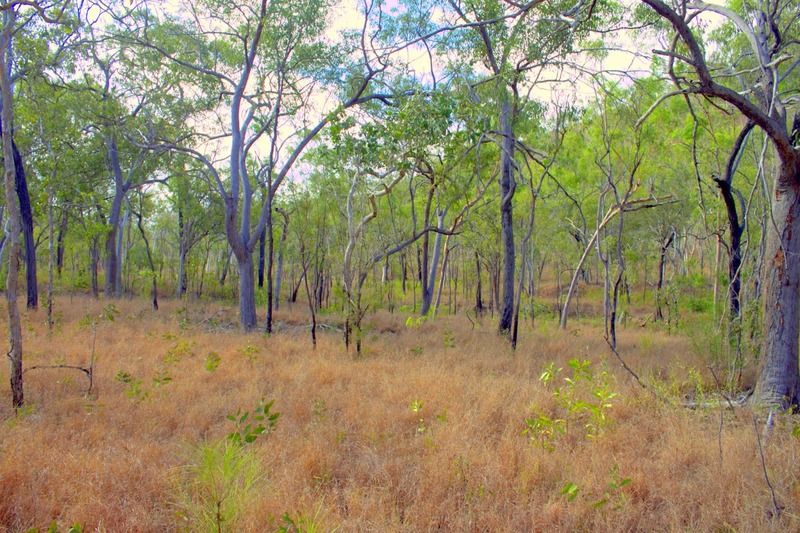 If you are looking, concentrate your search in the gravelly strip at the base of the slopes, particularly where there’s a nice mix of native Kangaroo Grass, areas of bare gravel, and it’s in a lightly grassed eucalyptus woodlands – the preferred habitat for Buff-breasted Button-quail. Much of this area has been recently burn out by fires, however the area where the most reliable recent sightings have been made remains unburnt. Painted Button-quail also occur in the area but, by contrast, they seem to have a preference thickly grassed woodlands with a nice cover of leaf-litter. In terms of their looks, Buff-breasted Button-quail is the largest button-quail, measuring from 18-23 cm long. By comparison Painted Button-quail range from 19-20 cm long. The tail and wings of Buff-breasted Button-quail are short, and their back is uniformly chestnut. Again, this compares to Painted Button-quail, which are far more brightly coloured, especially the larger female. The most similar species to the Buff-breasted Button-quail is the Chestnut-backed Button-quail, however their range doesn’t overlap in the wild. 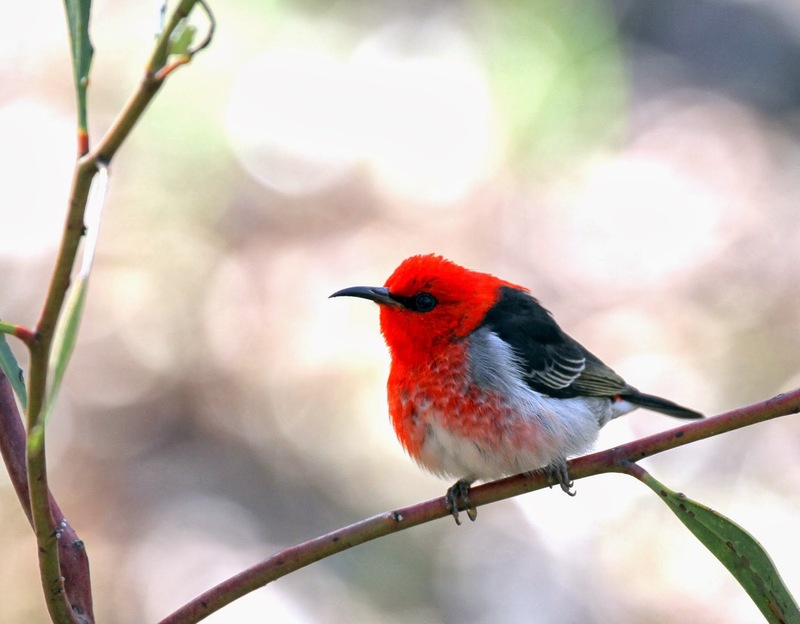 The Atherton Tableland is an absolute smashing areas for birding. See below is a summation of some of the birding sites I’ve visited and recommend. 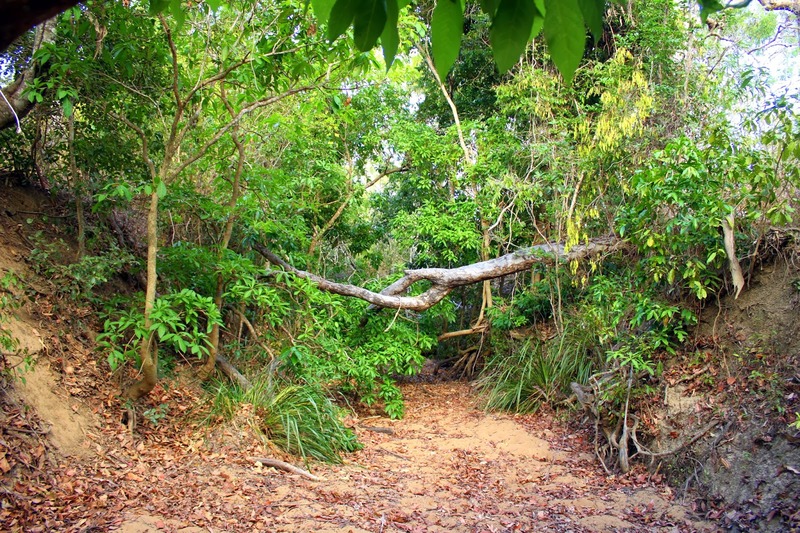 Known as a regular roosting site for Rufous Owl, Emerald Creek Falls and its picnic area are located within Dinden State Forest ~14 km south-east of Mareeba (-17.057974,145.546181). It’s surrounded by open woodland, and there’s some nice riparian rainforest along Emerald Creek. The birdlife here is surprisingly good, with Squatter Pigeon, Peaceful and Bar-shouldered Dove, Red-winged Parrot, Noisy Friarbird, Grey-crowned Babbler, White-bellied Cuckoo-shrike all relatively easy to see. Pale-headed Rosella is also common – the birds here are usually an intergrade form, a mix between the northern palliceps ssp (known as the ‘Blue-cheeked Rosella’) and the southern adscitus ssp (known as the ‘Pale-headed Rosella’). I’ve dropped into Hasties Swamp National Park, four kilometres south of Atherton, a couple of time. The last time was there in November 2013, a dozen Freckled Duck were present, a rare bird for FNQ. It is well known spring roosting site for Sauras Crane and Brolga, and there are usually large numbers of waterbirds such as Plumed and Wandering Whistling-Duck, Magpie Goose, Green Pygmy-Goose, Pink-eared Duck, Hardhead, Australasian Grebe, Great and Intermediate Egret, White-necked (Pacific) Heron, Royal Spoonbill, Buf-banded Rail, Purple Swamphen, Black-fronted Dotterel, Comb-crested Jacana, and, in summer, Latham’s Snipe and Sharp-tailed Sandpiper feed around the swamps edge. Near the township of Yungaburra, the Curtain Fig Tree is particularly good place to find Yellow-breasted Boatbill and Pied Monarch usually feeding in the higher areas of the canopy. It’s also a good place to see Double-eyed Fig-Parrot, Wompoo Fruit-Dove, Spotted Catbird, Lewin’s and Macleay’s Honeyeater, Large-billed Scrubwren, Mountain Thornbill, Brown Gerygone, Little and Bower’s Shrike-thrush, Black-faced and Spectacled Monarch, Victoria’s Riflebird, Pale-yellow and Grey-headed Robin. It is a major tourist destination, and can get very busy so, if visiting, it is worth getting there as early as possible. Although very touristy, another spot to see Lumholtz’s Tree-kangaro is Malanda Falls, where they’re occasionally seen during the day. 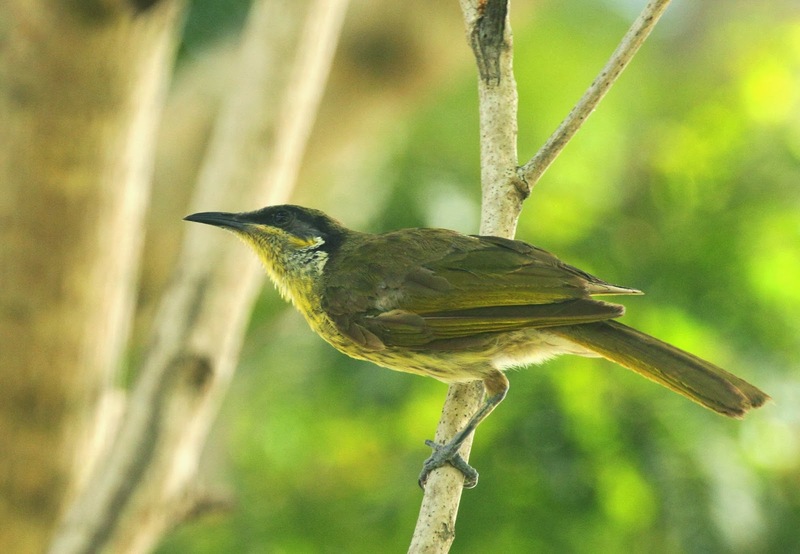 If you are really keen on seeing Lumholtz’s Tree-kangaro, local bird guide Alan Gillanders specialises in finding them on the Atherton Tablelands, as well as finding other nocturnal birds and mammals and, of course, birds generally. 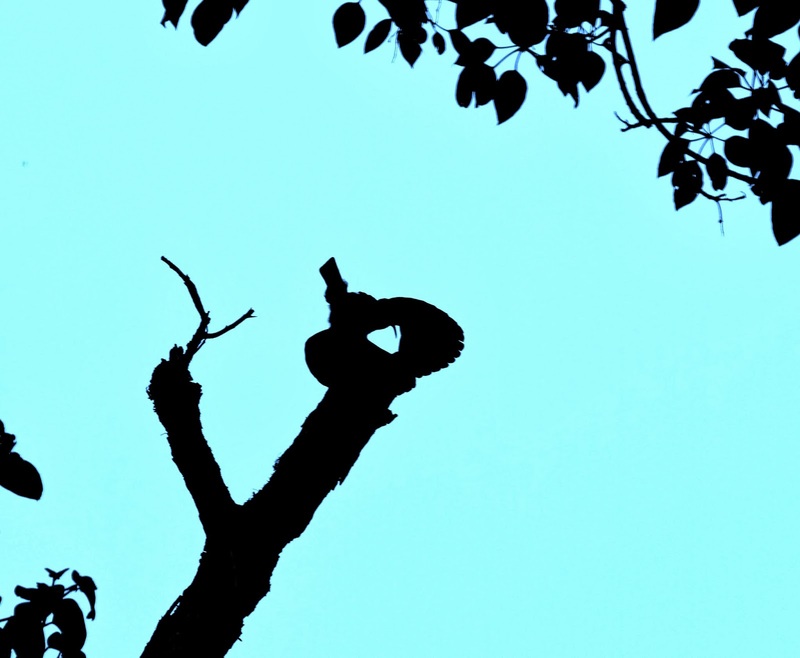 Last time I was Mount Hypipamee a male Victoria’s Riflebird danced on top of its display tree, which was located in the from the north-east side of the car park. It presence given away by loud and rasping yaars call – perhaps not the sort of call you’d expect from such a spectacular looking bird. Or perhaps its just the type of call you expect! For instance some of Australia’s duller-looking birds have spectacular calls, just think of the Grey Shrike-thrush,. There was Golden Bowerbird about 100 m down the track; the suble gold of the male must surely makes this one of Australia’s most spectacular looking birds. Again its call lacks any melody, more a buzzing, wheezy, husky grind. In some ways you could liken the Golden Bowerbird to the Princess Parrot – in the case of the Pricess Parrot, the subtlety of the pink gives the bird its beauty, while with the Golden Bowerbird, it is the subtlety of the Gold (when compared to the Regent Bowerbird) that gives it its beauty. At night there’s a chance of spotlighting Lesser Sooty Owl and Southern Boobook, and Mount Hypipamee is also very good for spotlighting mammals, such as Green, Herbert River and Lemuroid Ringtail Possum, Brushtail Possum (the coppery form found in north Qld), Lumhotlz Tree Kangaroo as well as the rare Long-tailed Pygmy Possum. There are two different section to Crater Lakes National Park – Lake Barrine and Lake Eacham – both are excellent, and both sare surrounded by upland rainforest. At Lake Eacham some of the best birding is around the day-use area and the walk to the ranger’s office. When the fig trees are fruiting there is a chane of Barred Cuckoo-shrike and Double-eyed Fig-Parrot. The Lake Circuit Track winds it way around the lake and through upland tropical rainforest, where I’ve seen Atherton Scrubwren, Mountain Thornbill, Macleay’s and Bridled Honeyeater, Grey-headed Robin, Chowchilla, Bower’s Shrike-thrush, Pied Monarch, Victoria’s Riflebird, Tooth-billed Bowerbird and White-throated (Little) Treecreeper, Wompoo and Superb Fruit-dove, White-eared Monarch and Spotted Catbird. It’s a good place to see reddish smaller form of the Southern Boobook (ssp. lurida), which scalls at night from within the day-use area. Birding within 150 m of the forest bordering the top carpark is worthwhile – look here for Chowchilla, Fernwren, Yellow-breasted Boatbill and Spotted Catbird. On my first birding visit to the Cairns region my total bird list for the trip was an ~270 species. Greg Oakley and I birded hard, from dawn to dusk, it was tiring but extremely rewarding. By contrast my last birding trip was purely for fun and relaxation. 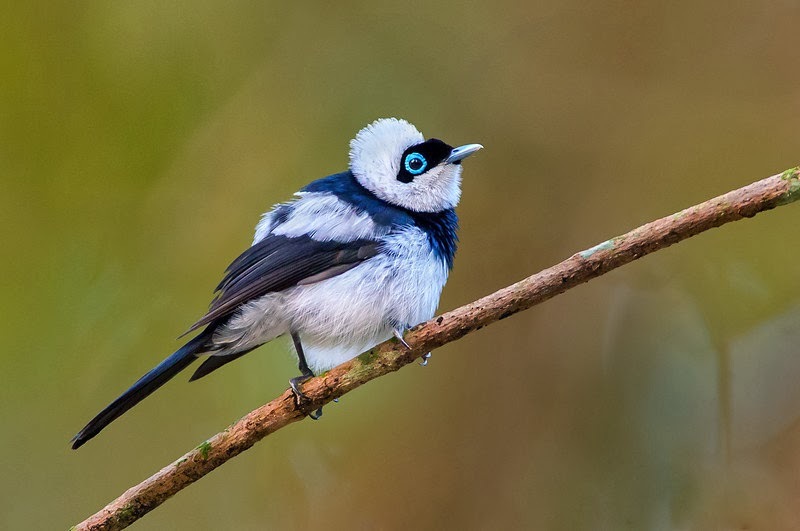 I camped for 5 nights at Kingfisher Park, and birded whenever and where-ever I felt like on the day – targeting Buff-breasted Paradise-Kingfisher one moment, and then White-browed Robin the next. Simply perfect. From a purely twitching viewpoint, most Australian birdwatchers when the visit the region end up with ~100 new species in a week or so. For visiting overseas birders you’ll get near 300! 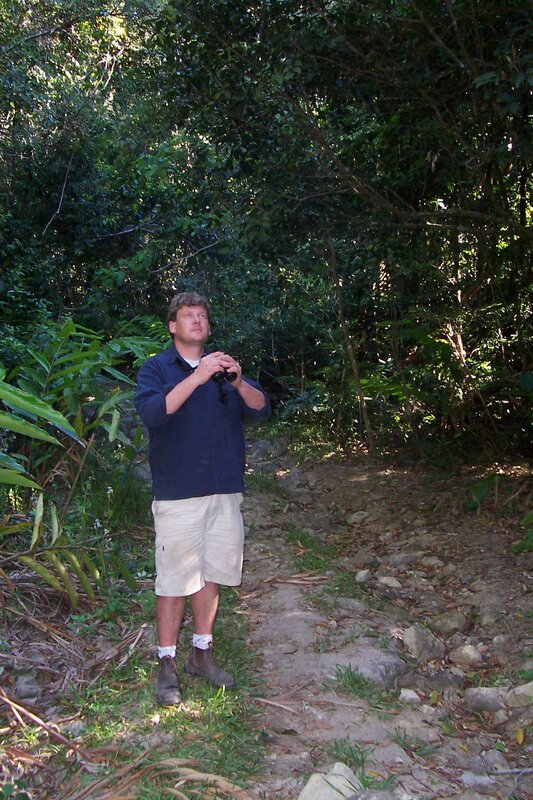 Few would question that the region around Cairns is Australia’s premier birding location. Radjah Shelduck – once a rarity, in the last 5 years they have become quite common around Cairns. For information on Tim Dolby Bird Guiding around Australia please click on the link. Tim Dolby & Rohan Clarke. Published by CSIRO Publishing. Click on the image for more information. Where to See Birds in Victoria. Tim Dolby. Published by Allen & Unwin. Available from Birdlife Australia & good book stores.